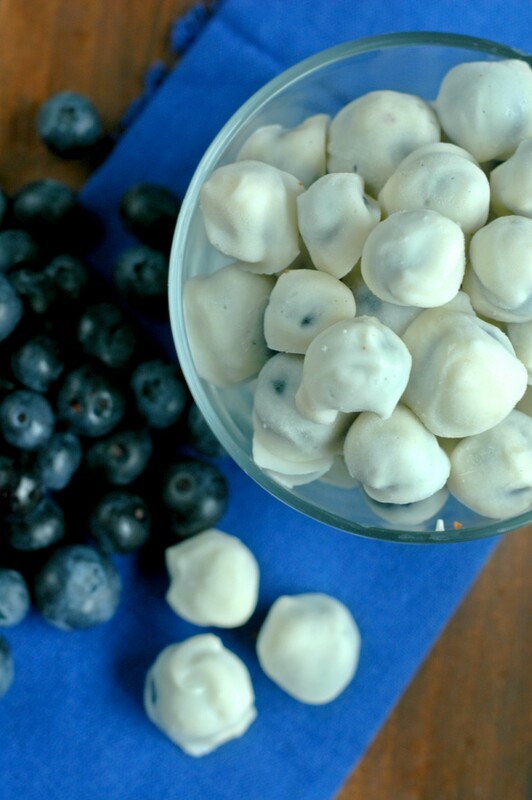 Quick, sweet little yogurt covered blueberry bites perfect for little hands! 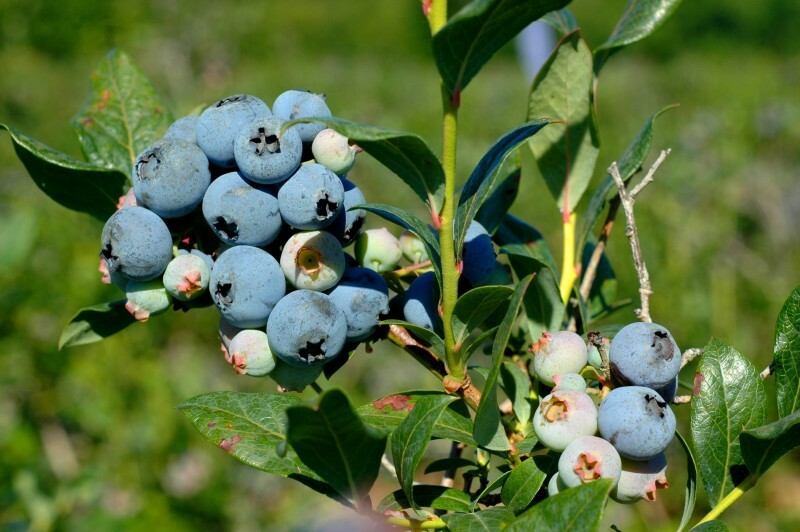 I just couldn’t let a summer season go by without a blueberry post! 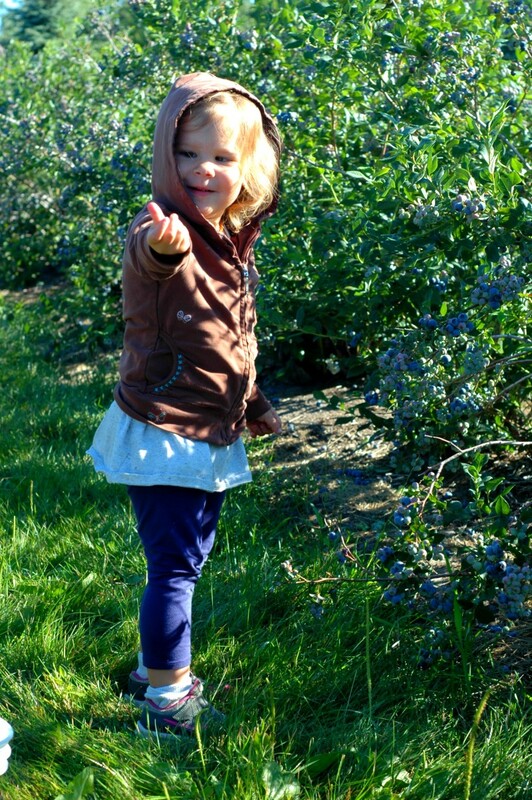 Blueberry season is such an abundant time of year where we live and the picking is always so good! 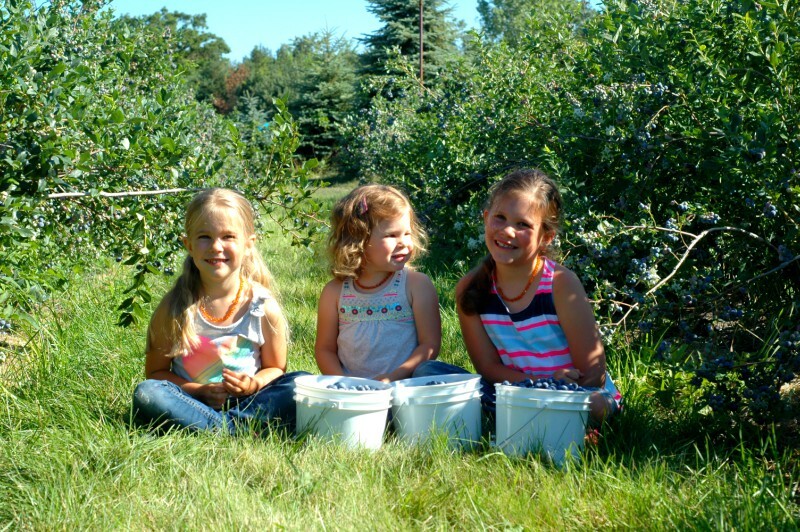 With the baby of the family now at picking age instead of just along for the ride, her sisters were quick to show her the ropes by pointing out the biggest blue ones, promising her that those were the juiciest and sweetest! And boy did she learn quickly how to navigate those bushes! 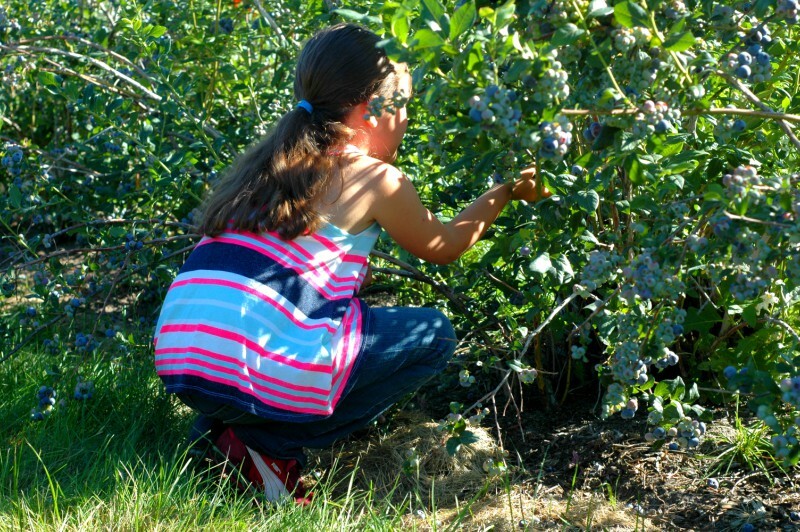 My oldest has really been a big help this season, and between 2 trips to the U-Pick field we brought home 60 pounds of blueberries to enjoy fresh and also store away for smoothies for the winter. 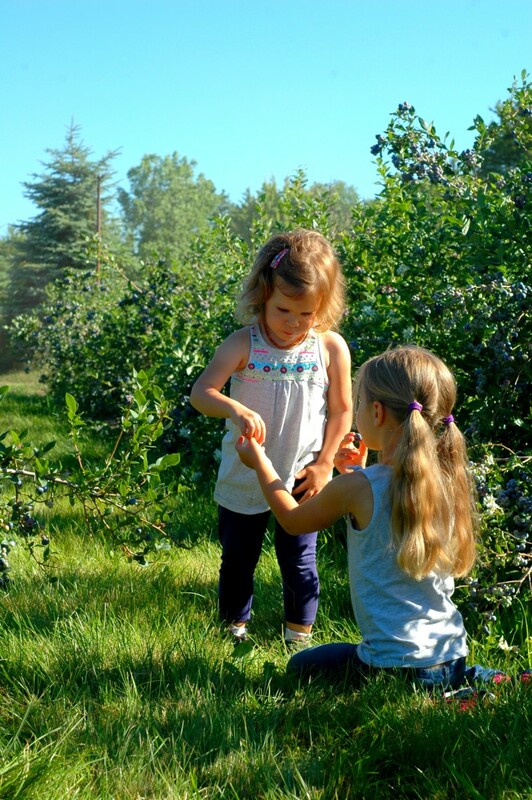 I had a big bowl of fresh blueberries in the fridge for weeks, and with peach season just beginning my girls were starting to lose their interest in those fresh berries for their fruit! I used a few cups of them for blueberry peach crisp, and then made these fun yogurt covered treats. It was such a quick prep but it really made the girls smile and that is always worth it. An easy and fun hot summer afternoon treat that I could feel good about too! I am pretty sure these would work with just about any berry you are picking this season! It was a fun project for my big girls to help with on a rainy afternoon – kept their hands busy and occupied which is always a plus during the summer break! 1 cup Greek style plain whole milk yogurt or coconut yogurt if you have plain whole milk yogurt you can make it Greek style by straining it in a thin cloth for a few hours - the liquid strained off is whey you can use for soaking grains or adding to smoothies, and the thick yogurt behind is "Greek yogurt"
2 TB raw honey or pure maple syrup optional - if you are trying this with toddlers I would definitely leave this out - the blueberries are sweet enough for those young taste palates! 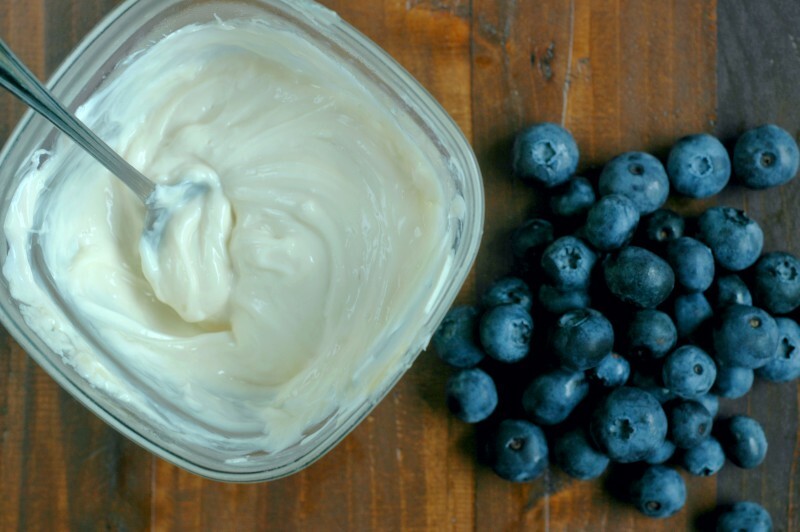 Mix the Greek yogurt, collagen, and honey in a bowl and fold in the blueberries. 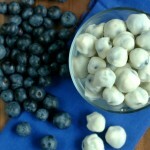 Scoop the yogurt covered blueberries out individually onto a silpat or parchment paper lined baking sheet. 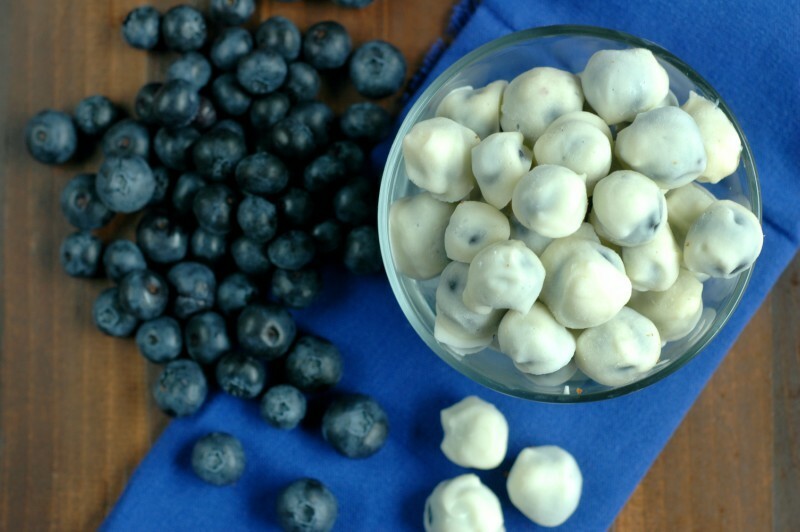 Transfer the sheet of yogurt covered blueberries to the freezer for at least an hour to freeze and then transfer the frozen yogurt covered blueberries to a freezer bag to store in the freezer. This is such a great idea!!! Love it! Beautiful photos too Renee, so fun. I love this idea!!! Instant aha! when seeing your photo…like, yes, oh, what a great idea! hehe! 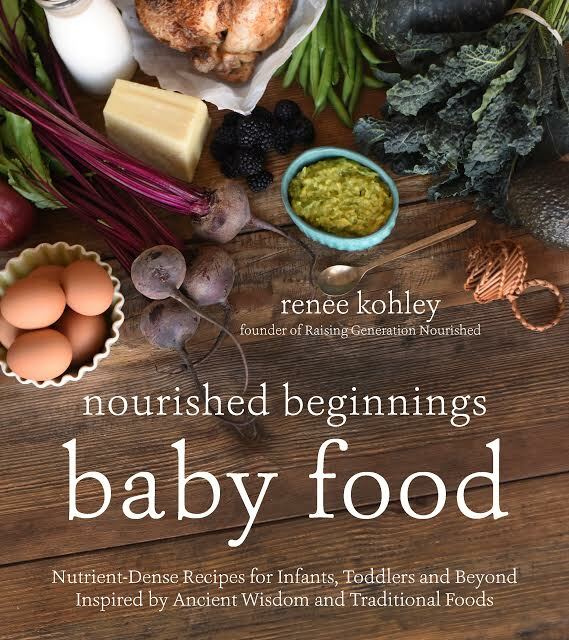 Thanks, Renee, can’t wait to share this process and treat with the kids! I really love this idea. 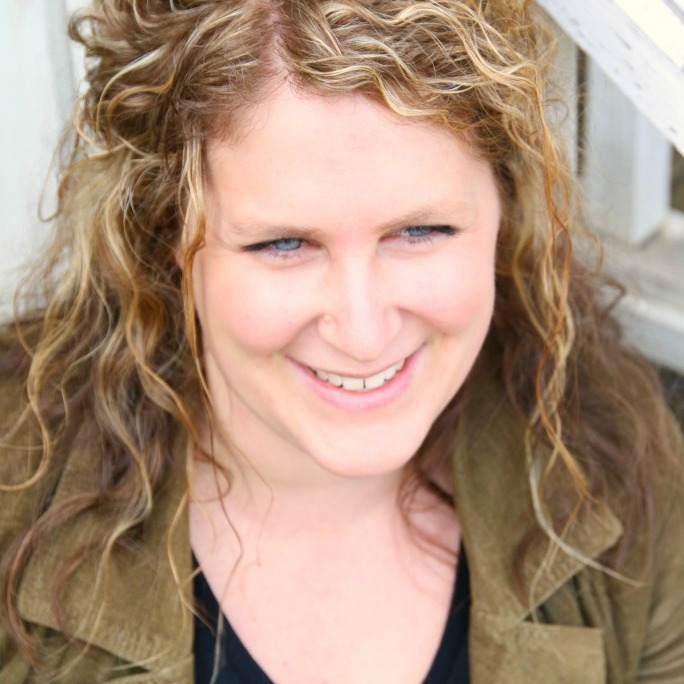 I have gelatin but not collagen on hand…do you think gelatin would work? Thanks! Hi Jennifer! I think the gelatin might make the yogurt a little gummy – I would just simply leave it out! 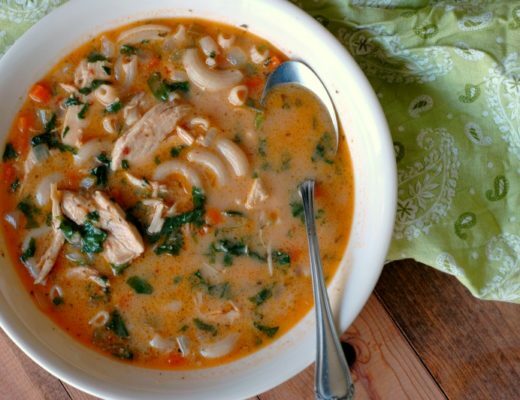 I added it in there for extra nutrition but it isn’t needed for the recipe to work. This looks fantastic! I have the last of the blueberries we picked this summer in the freezer and I’ve been looking for something fun to do with them. Do you think it would work with blueberries that are already frozen? Or will they be too mushy/juicy? Thanks! Hi Mila! I do think that they would work – just keep them frozen to do the dipping and put them right back in the freezer!